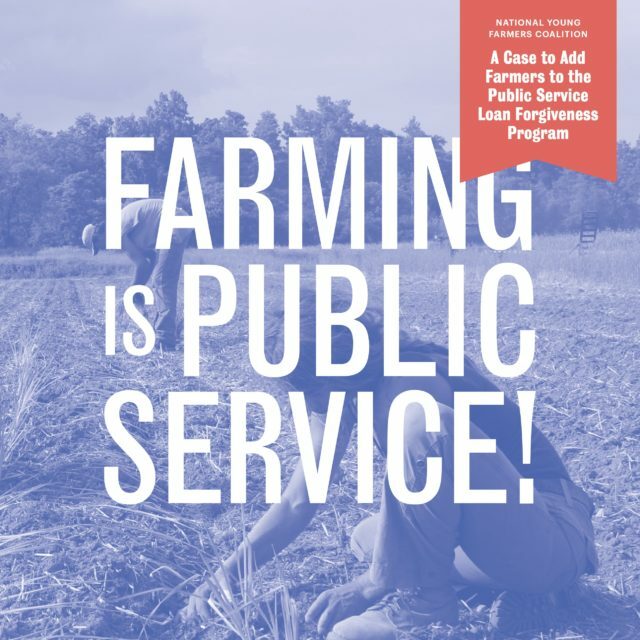 This report makes a case for adding farmers to the Public Service Loan Forgiveness Program. A survey of over 700 young farmers found that 30% of respondents delayed or declined to enter agriculture because of their student loans, while an additional 48% said student loans prevented them from growing their businesses or obtaining credit to invest in their farms. With thousands of American farmers nearing retirement (the average age of farmers is now over 58), the U.S. needs at least 100,000 new farmers over the next two decades. This issue reaches beyond the farm and impacts rural economies because farmers are often the primary revenue generators and employers in rural areas. Learn more about NYFC’s ongoing student loan campaign here.